Delhi, the capital city of India, boasts countless attractions for travellers, both classic and modern. Tourists and holidaymakers pour into the city in hordes. To cater to the requisites of this huge inflow, the city has come up with numerous hotels of various categories. Whether you are in the city for a leisurely holiday or on business, you will always find one that makes your stay one of its kind. 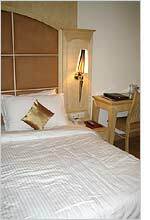 The five star deluxe hotels of the city are known for their higher-ranking services and world-class amenities.